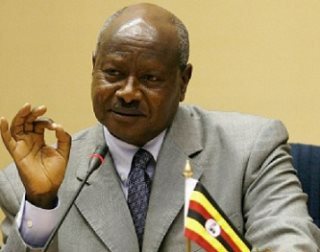 AFRICANGLOBE – Much has already been written about the stand-off between Uganda and the West on the recently passed Anti-Homosexuality Bill. For various analytical takes concerning the drivers, characteristics and repercussions of the bill see for instance here, here, here, and here. Given limited space, I will not directly engage with the points that were raised in these previous articles, including the analysis offered there regarding (a) the possible motives of the Ugandan government for signing the bill (quest for legitimacy, authority, sovereignty, election gains, religious enhancement, deflection, surveillance, etc. ), (b) the political-economic dynamics that might have influenced the government’s course of actions (expected oil revenues, China as an alternative to the West, etc. ), or (c) the role of different internal and external actors in shaping the bill-making process. Instead, I will try to complement the analysis by focusing on three distinct features of the stand-off. Before I lay them out it should be noted that the standoff is a complex political-economic and political-cultural phenomenon that deserves a more extensive analysis in future. It is hard to think of an equivalent case (perhaps leaving aside security politics) of such a clean-cut and significant stand-off on a key policy matter in recent relations between ‘the West’ and African governments, where an African government has eventually walked away from the Western ‘consensus’. There are other cases that share that characteristic but they are all on a different, i.e. smaller scale; for instance, the use of state subsidies for fertiliser in Malawi (some in the Western block were against that). Related to this is the fact that the stand-off was about a ‘cultural’ issue. More specifically, the ‘anti-Western’ stand was taken by a key strategic ally of the West and long-standing ‘donor darling’, a country that has extensively adopted Western liberal policy recipes for more than 20 years. The crucial thing is that many of these adopted policies related to the realm of the economy and political economy: liberalisation, privatisation, ‘deregulation’, incentives for foreign investors and so on. The Ugandan government and by extension, the state, has generally not opposed the World Bank, IMF and major donor countries on this front – partly because various actors within or closely linked to the Ugandan state benefited from the policies. The West furthermore demanded adjustments in line with liberal prescriptions in matters of polity and society too, and many of these demands were ‘granted’ as well. Substantial Western aid and assistance has flowed to the government in return for being a good partner. Of course, there was criticism for years from sections of Uganda’s political class and people about the purpose, level, and form of influence from actors such as the World Bank, IMF, EU, the US or various Western European governments in the country’s affairs (the same is true in other African countries). The point is that despite the criticism of the West’s economic policy dictats (and of Western societal engineering in the country more generally) the government never fundamentally opposed them. Instead, it now defied ‘Big Brother’ and opted for policy unorthodoxy on a seemingly ‘cultural’ issue, i.e. specific norms, values, and practices. There may well be a link between compliance with the West’s reform pressure for more than two decades, and rejecting it now (a decision that was respected by, for instance, the South African government). In other words, a significant standoff of one sort or another was coming for a long time, in Uganda or any other African country that has been shaped by foreign intervention in the neoliberal era of donors.